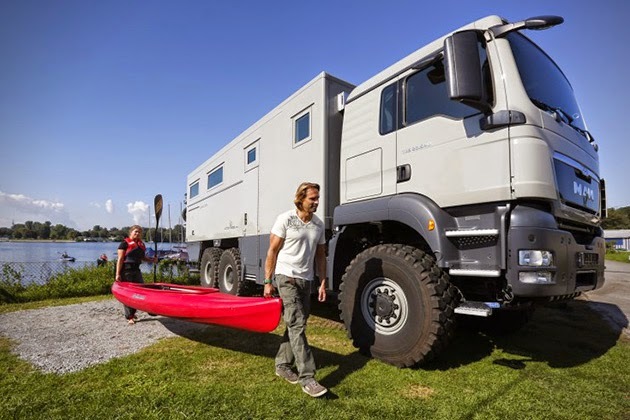 Essentially an all-terrain motor home, this thing has everything you need to set up basecamp literally anywhere on Earth. At the heart of this 18-ton beast is a 720-horsepower engine, and while the Alcantara-lined driver’s cab is quite nice, it’s the interior cabin area that has us salivating. 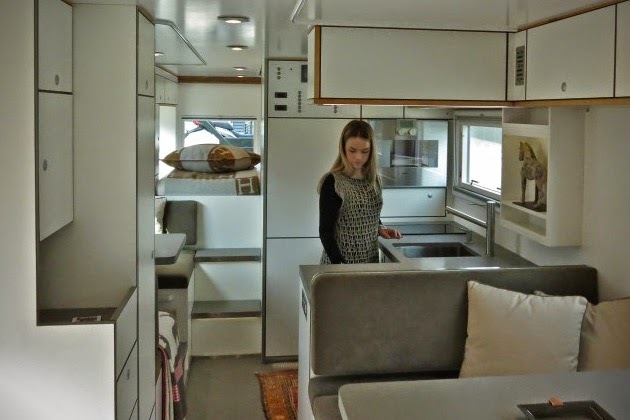 The exterior is rugged, but the interior is plush and cozy, complete with all the essentials including kitchen, sleeping quarters and bathroom. 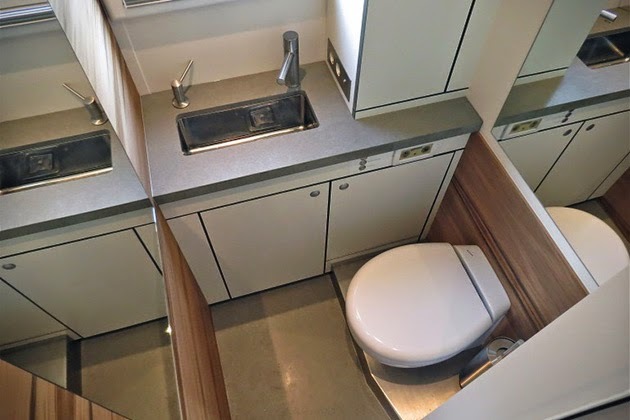 There’s also plenty of luxury amenities to help keep you entertained while you explore everything the great outdoors has to offer. 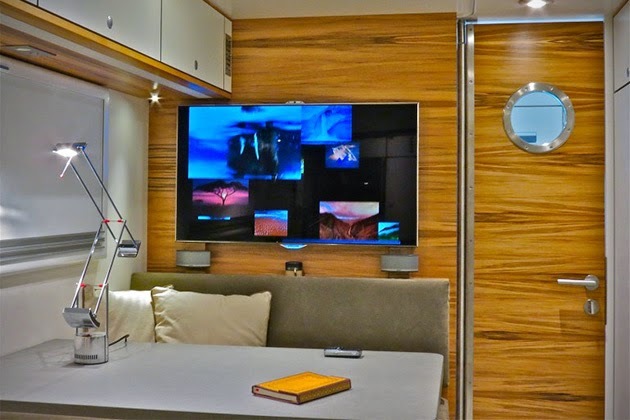 Everything from a 40-inch HD TV and Apple TV media streamer to a Bose audio system and multi-TB hard drive to store all of your digital content. 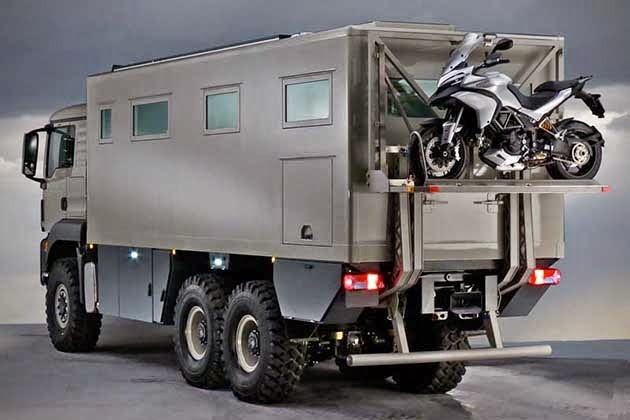 And seeing that a six-wheeled expedition vehicle can be challenging to navigate in tight quarters, this Action Mobil has been outfitted with a motorcycle lift out back, housing its very own two-wheeler for exploring smaller areas with ease. 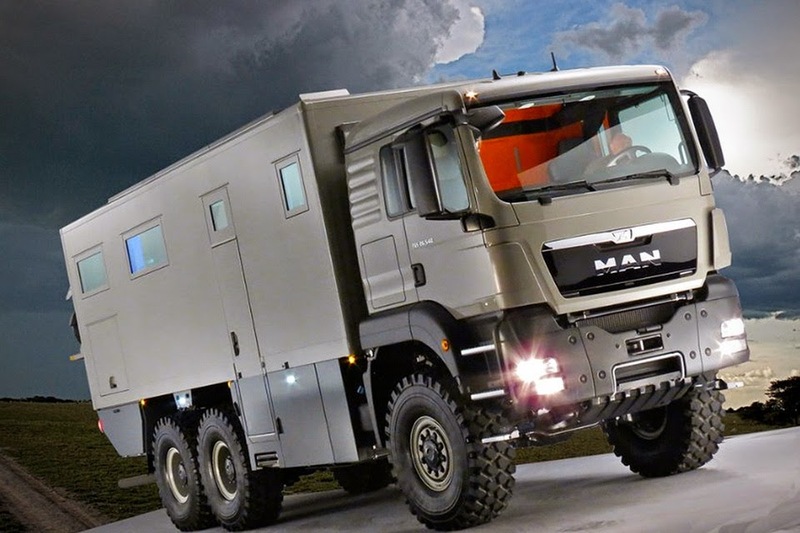 Is this the ultimate apocalypse survival vehicle? It just might be.